‘How to fish’ kicks off nonsensically when the narrator explains how astrology gives ‘man’ (Goofy) an urge to fish. The cartoon consists of blackout gags involving various types of fishing, like angling and lake fishing. 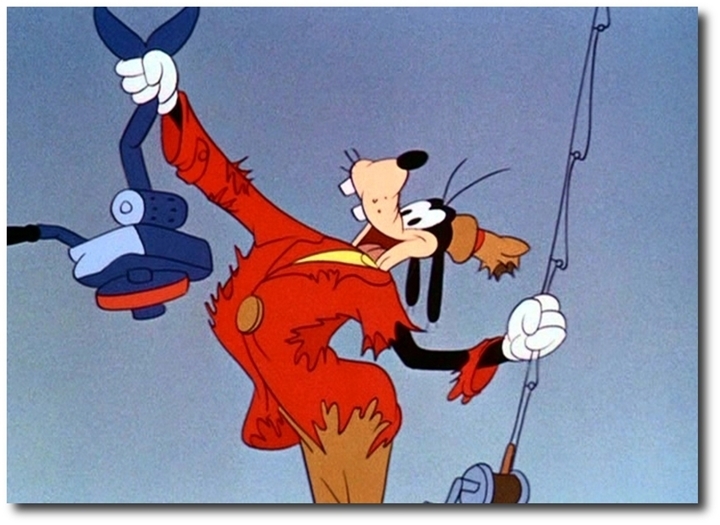 In the end Goofy manages to capture one fish, which turns out to be his own outboard motor. ‘How to Fish’ is one of Goofy’s less inspired sports cartoons, even though it’s pretty enjoyable. It is the first Goofy short to use oil background paintings. It contains one discontinuity incident: when he fishes himself into a tree, he shortly wears his socks again.